There is no better way to take your business to the next level than starting your own affiliate program. It’s a no brainer really. Many business owners do not want to give up any part of their revenue, which is why they may be hesitant about running their own affiliate programs. 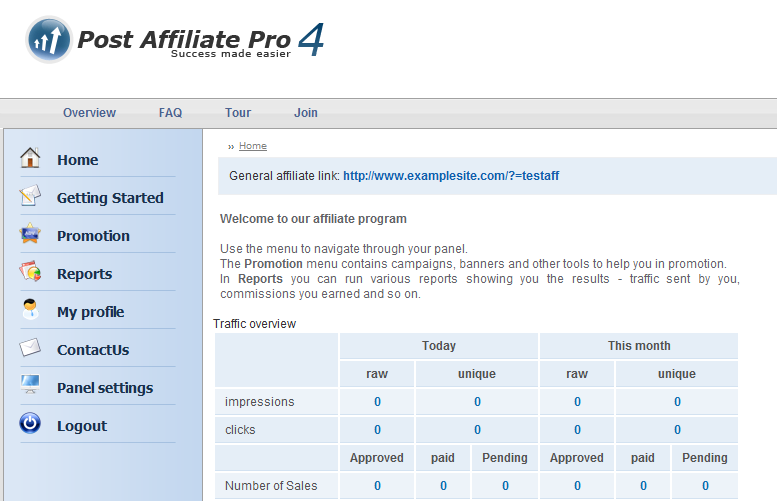 It could also take a lot of work if you have lots of affiliates. But why would one want to avoid recruiting affiliates when they can sell products without any real effort on the merchant’s side. You are only going to have a certain number of hours each day, so it does make sense to outsource your promotional efforts by relying on affiliate marketers. The risk is not that high either. iDevAffiliate: used by many top independent sites on the Internet. It makes it so easy to host an affiliate program and gives merchants options. It can be integrated with other software solutions as well. Whether you are an online business owner or own an offline local business, you can use the power of the Internet to your advantage to drive leads to your business and increase your profits. You can have the best local, national, or international product in the world. But if people don’t know about what you are offering, they are not going to come to you for your business. Every business owner wants more Internet traffic, but not everyone goes about getting online traffic the right way. There are thousands of ways to get traffic for your business. You just have to decide which traffic source matters to you the most, and whether it’s worth your effort to pursue non-traditional traffic generation sources. SEO: search engine optimization is the cheapest way to get traffic. You got to have a search engine optimized website however (SEO resource). Pay per click: getting traffic from Google Adwords or Yahoo! search marketing is one of the best (but expensive) way to get traffic (resource). Twitter: is quickly becoming a great source of traffic for businesses. Facebook: another great social network to get traffic to your website. Social News Sites: sites such as Digg and Reddit can be effective traffic drivers as well (submission service). Directories: should be a part of your SEO efforts (submission service). Blogs: displaying your content on other blogs can help too (resource). Article Marketing: pushing your products with articles can help too (EzineArticles). LinkedIn: a great way to reach to your target audience and gain their business. YouTube: doesn’t need any introduction. Great for going viral. StumbleUpon: advertising on StumbleUpon or just getting your site voted by the community can drive big traffic to your site. ClickRiver: advertising on Amazon can be another decent way of driving traffic (CR). Giveaways: giving away things is one of the best ways to go viral online (just give away an iPhone 3G S or another hot gadget). Free service: you can also put up your service up for grabs to go viral. Information: giving away information for free can help as well (e.g. reports). Newsletter: building a killer newsletter gives you access to targeted leads (Aweber). Podcast: what a better way to get some following going with a killer podcast. Video-cast: creating a video show on the web can help your business generate leads. Blog: still one of the best ways to drive traffic to your business. Easily set up your site with WordPress. iPhone: building an iPhone application for your business helps too. Offline Marketing: you can always give away business cards, brochures, pens, and … (offline marketing). Blog Comments: commenting on other blogs can build your traffic gradually. Forums: your signatures on niche forums can build your traffic gradually as well. Affiliate Program: creating your own affiliate program is another cool way to build traffic (idev). Stay tuned for the 2nd part of this series for more specific ways to drive traffic to your business. There are many ways to start a business online. You can try your hands in the world of eBay. If you are into gaming, The World of Warcraft and SecondLife can provide you with the opportunity to make a decent living online. Or you can just try to start your own affiliate marketing empire from ground up. Affiliate marketing is one of the best ways to start a business without taking on too much risk. After all, you don’t have to own an inventory, and you get to focus on offer promotion instead of finding storage for products and shipping them to your customers. Opportunity.com is an affiliate training system by one of the legends in the online marketing industry, designed to teach newbies and experts how to take their affiliate business to the next level. If you have been involved in the affiliate marketing industry for a while, you are familiar with the vast number of challenges that a newbie can face on the road to stardom in this business. Opportunity.com provides you with killer business tips to help you get started and avoid mistakes that other affiliates have made in the past. And as a part of this program, you gain access to John Reese’s killer market research. After all, you need markets to try out what you have learned from John, and what a better place to start than with niches recommended by the master himself. Affiliate training: whether you are new or an expert in the affiliate marketing industry, it is always rewarding when you get to see things through a super-affiliates’ eyes. That’s exactly what you get here. Market Research: you gain access to a whole lot of market research material that you can use to dominate any market. Affiliate directory: you find out about the hottest affiliate programs on the Internet before anyone else does. So you can start making money while others are still stuck with their old affiliate offers. Relationship management (with affiliate managers). Cloning super-affiliates’ success in any market. There is so much material available on Opportunity.com that you are going to find it hard not to get any value out of this program (no matter how picky you are). What I like about this training system is the fact that it focuses on building a business for long-term instead of focusing on short-term get-rich-quick-that-never-work tactics. The team behind opportunity.com is constantly researching new markets to bring you with offers that you can use to make money online and expand your business. Their research includes keyword research, trend analysis, and affiliate program research. In essence, you are going to know which markets are profitable, what affiliate programs are available to you in those markets, and how to use the latest trends to your advantage to build momentum in your business. Overall, Opportunity.com is a wonderful affiliate training course that teaches you how to build an affiliate start-up from ground up. You are going to like the fact that it teaches you how to run your affiliate venture as a business and not a hobby. And you are not going around promoting affiliate offers without numbers to back you up. These folks have gotten affiliate marketing down to a science. That means you won’t have to guess and hope for the divine intervention. You can use the tried and tested strategies in this course to take your affiliate startup business to the next level.